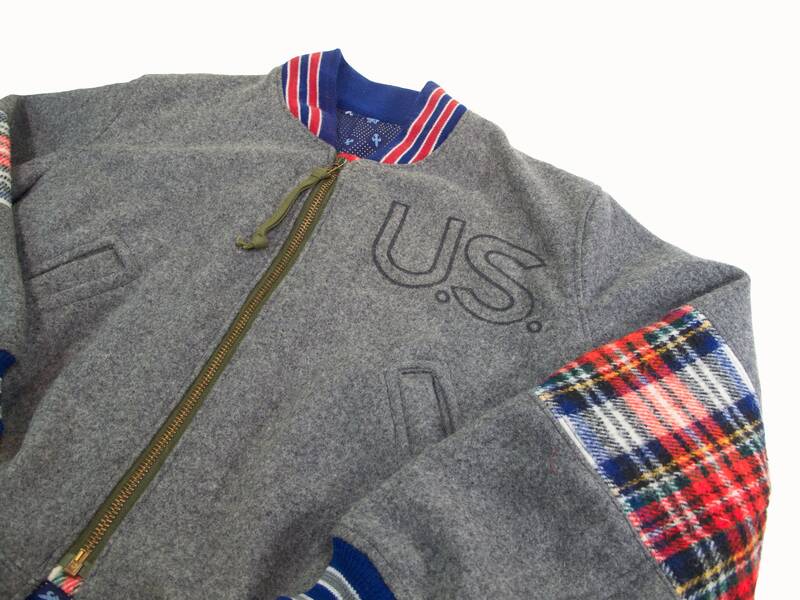 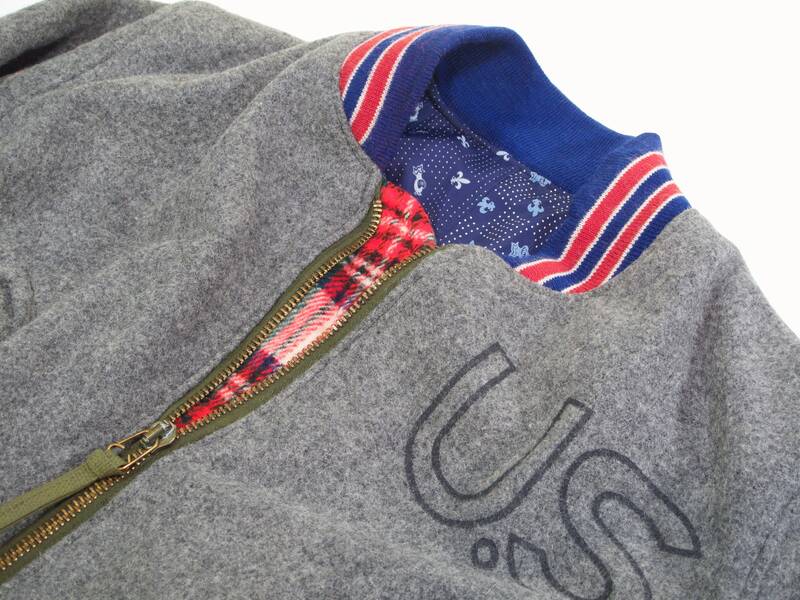 vietnam era navy issue wool blanket with a large US stencil made into an MA-1 style jacket. 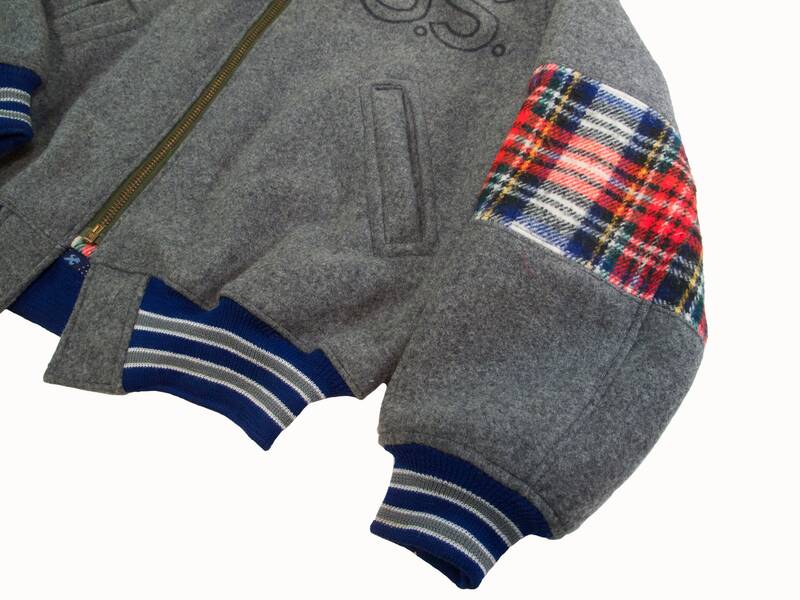 tartan wool blanket elbows in both sleeves. 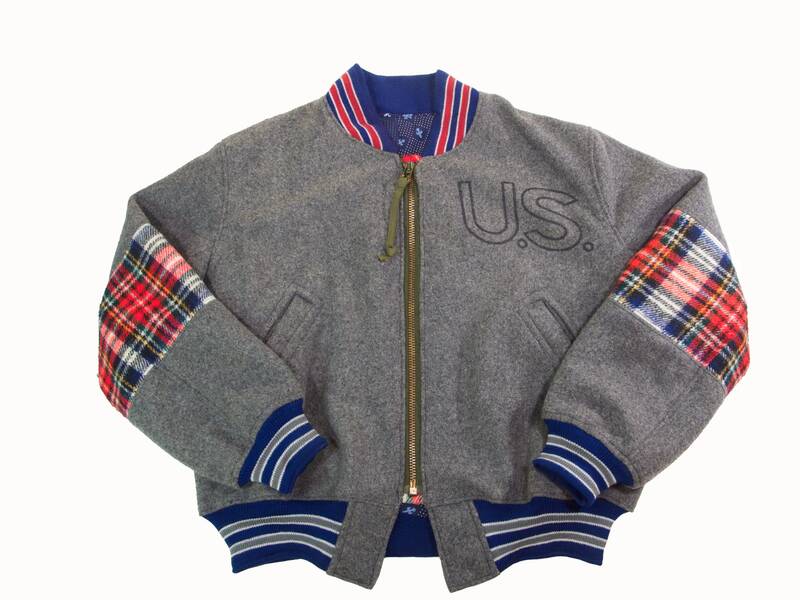 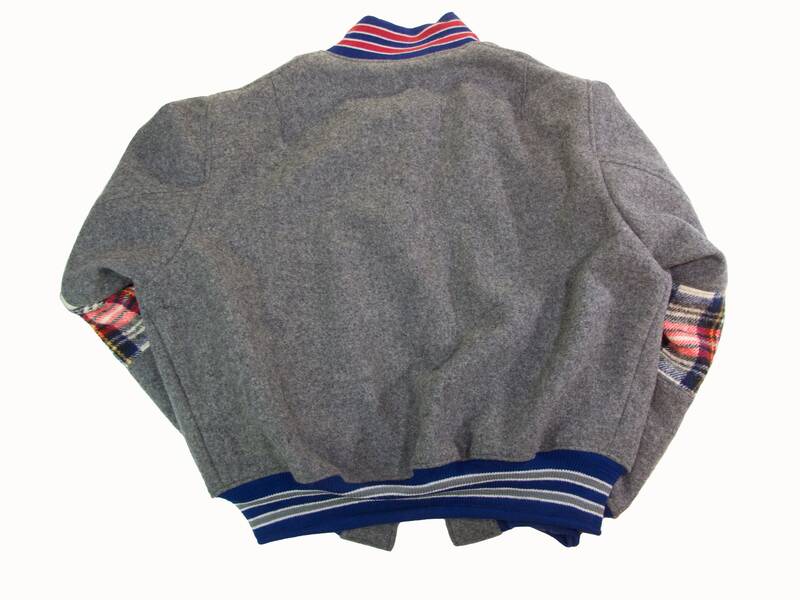 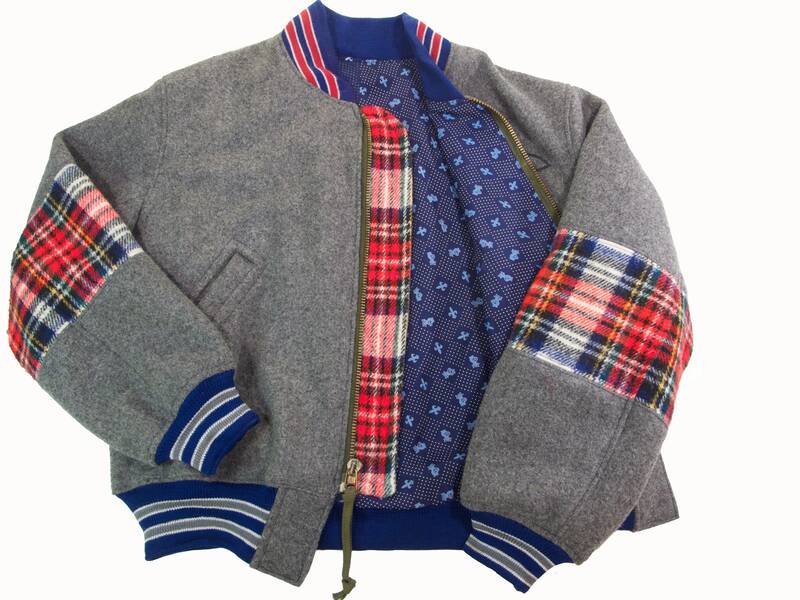 vintage varsity jacket elastic in the collar, cuffs and waist. 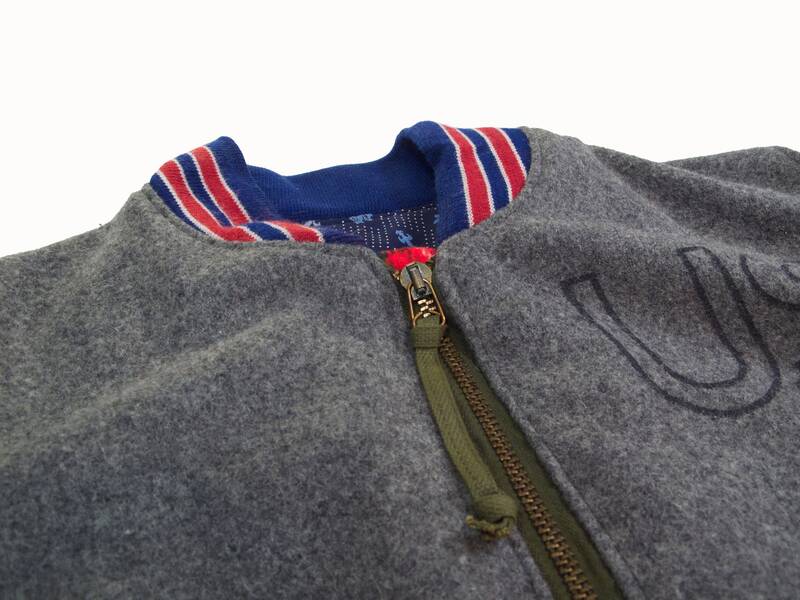 vintage General brand military surplus zipper. 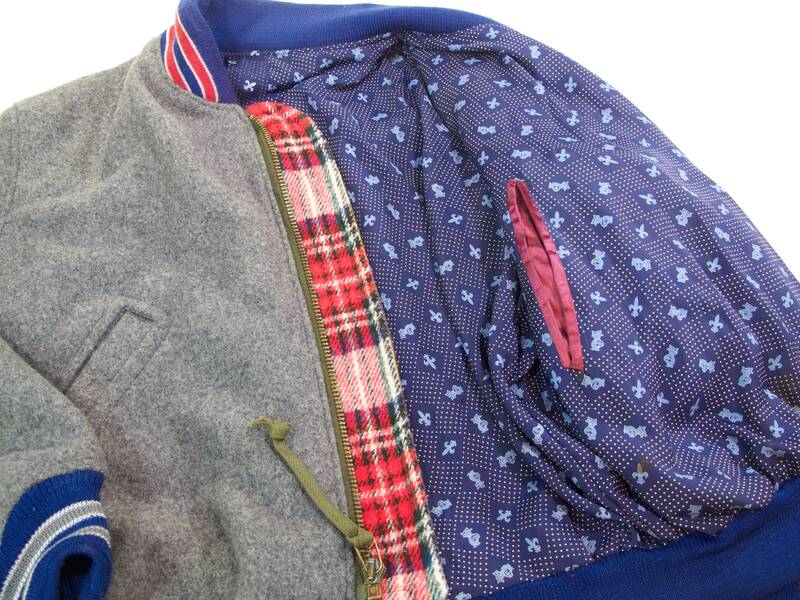 lining is from an antique silk smoking jacket with a polka dot and fleur de lis pattern. 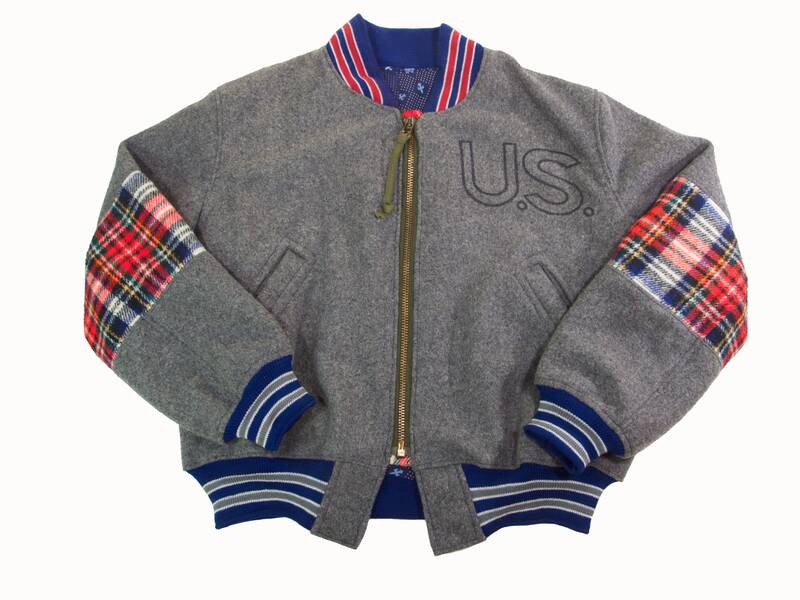 fits like a mens size XL.